Hands down Mississippi Mud cake is my favorite chocolate cake of my entire lifetime. I know I know, I say that about all my cakes, but no! Wait! Hear me out! I acquired this recipe way back when I worked as a pastry chef for a catering company, oh I don’t know, circa 1997? This recipe was already in play and was a great success. Once I tried it, I knew why it was their signature cake and it was at every catering event in the entire Princeton New Jersey area. 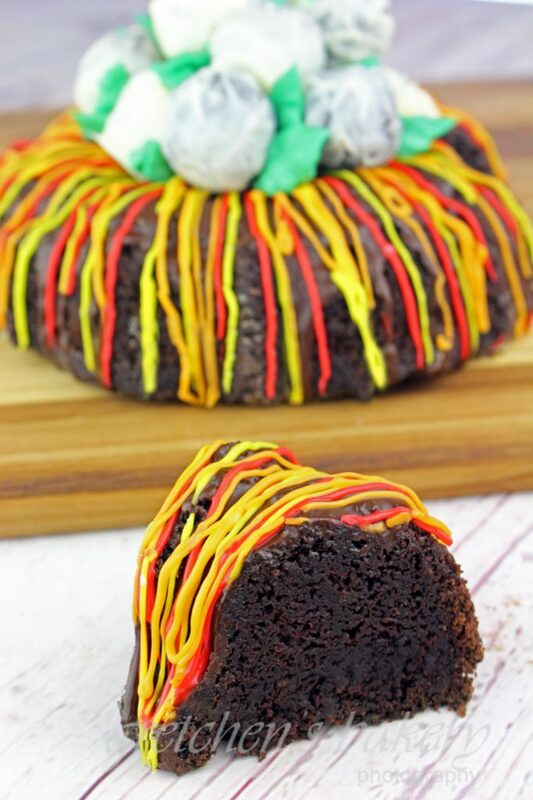 Super rich, dense chocolate bundt cake that borders on brownie-like. The deep chocolate is pronounced by the addition of coffee, and the whiskey takes this recipe to a level you have never experienced! I really recommend to follow the ingredients as listed, but I get it, some of you don’t do alcohol in any way shape or form. Rum, Kahlua or Frangelico are suitable substitutions here, but again I really recommend the whiskey. Now as you can see I’ve decorated my finished cake with a sugar glaze in the color of fall. I’m still not sure, as I write this post if I am loving it. It sort of got to me after a while. Reminds me of the days in the bakery when I would spend hours decorating a wedding cake or special event cake and after half a day I couldn’t stand to look at it anymore. Maybe (hopefully) I’ll feel differently tomorrow and love the look of this cake. It’s definitely fall though, and actually once I put it on my old turkey platter with those whiskey truffles and spritz cookies, I started to like it a lot more. 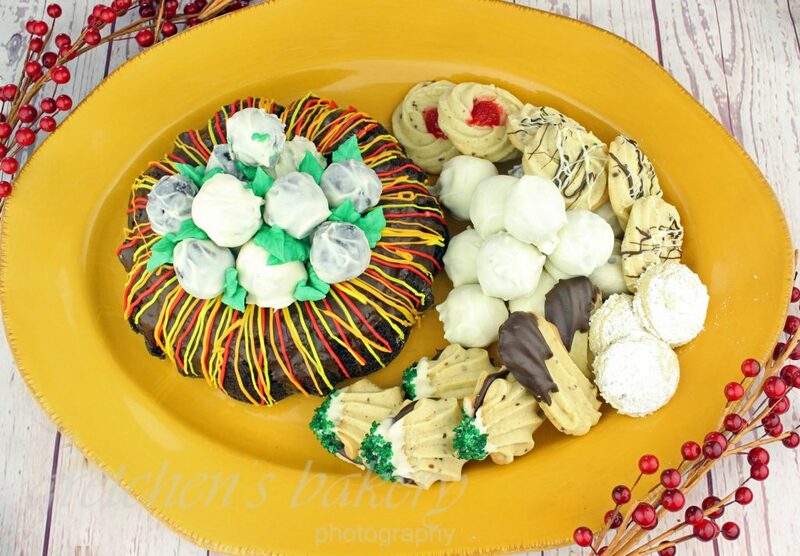 I was wishing it was Thanksgiving tomorrow because well, my dessert platter is ready! Well anyway like the look or not, you are going to love the moistness of this cake and the fact that it can be stored at room temperature for at least 4 days is a plus in my book when it comes to holiday gatherings and parties where you don’t want to be worrying about your dessert, and refrigeration and all that jazz when you just want to enjoy your family and friends! I do think this cake gets better after day 1 and it is best served room temperature, however I have stored it in the refrigerator for longer and I have to say I was not hating the cold texture of this cake! It reminded me a a thick dense fudge brownie! Ok enough of me gabbing about this cake, just make it! In a mixing bowl combine the other half of the sugar(s) with the flax paste, applesauce, vanilla extract, coffee and whiskey, mix well. Add the melted chocolate and butter and mix well. Cool completely and then ice with sugar glaze as I mentioned in the above text. Mud cake can be stored at room temperature for up to 5 days in an airtight container. UPDATE: I have to admit that I had a lot of disasters with this recipe. First it wouldn’t come out of the pan because #1 Bundt pans are impossible and #2 I was lazy and didn’t make a batch of my Professional Bakery Pan Grease which ensures I will have a great release every time, and I used coconut oil spray instead. Dumb dumb dumb. That was completely my fault and then on the second attempt my math was off and I had a major explosion in the oven. So after cleaning the entire oven and a third attempt, I got it right. But I always try to make my failures into successes and with my stupid stuck broken cake, the Whiskey Mud Ball was born! 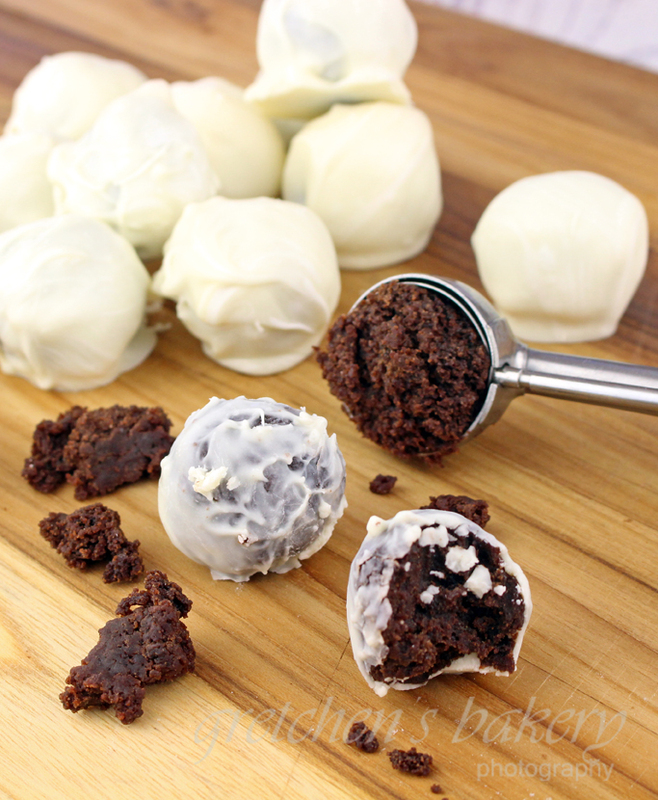 So if you want to make the bourbon balls anyway, here is the recipe! In a large mixing bowl, break up the destroyed cake more than it already is! Scoop them into balls and then roll the balls to form a nicer round shape. Hi. If I want to make this with eggs, how many would I need? Hello Gretchen! 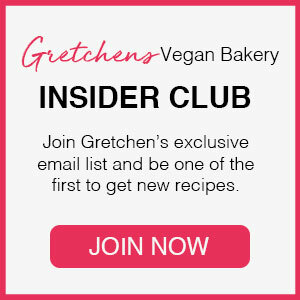 Firstly I wanted to thank you for your amazing vegan recipes. I commented recently on YouTube and you were so kind to reply about me being in the same situation you were on the fence. I create bespoke Wedding Cakes and do veggie and vegan. I was veggie for 21 years before becoming vegan and now really don’t like using eggs and butter however haven’t got the vegan client base to change as I do equally have to provide a roof over my head. It’s a really confusing situation for me! My focus for 2018 is to experiment with new flavours and really push the vegan cakes and attend vegan fairs etc to gain more vegan customers. 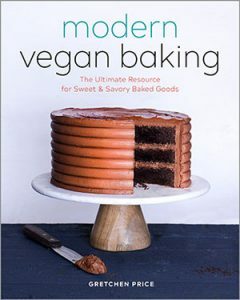 I think you will like this vegan mud cake, it is a direct spin off from my original recipe, it is very dense almost fudgy and the vegan version was almost identical!